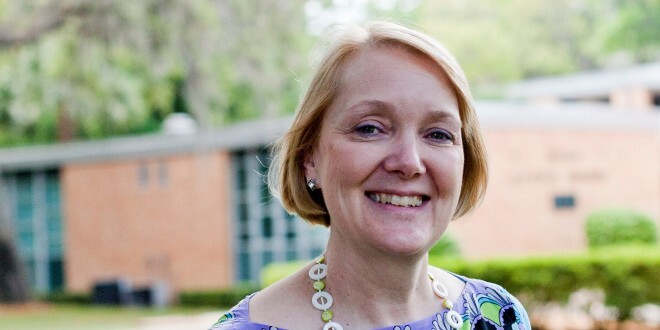 Jacksonville University announces the appointment of veteran educator and researcher Dr. Lee Ann Clements as Associate Provost for Assessment and Academic Operations, effective March 1. Dr. Clements will be the University’s accreditation liaison, overseeing planning, assessment, accreditation and the Quality Enhancement Plan (QEP). She will also oversee adjunct performance, students’ academic appeals, instructional facilities and technology, articulation agreements with U.S. institutions, and updating the University’s Catalog. “With Jacksonville University continuing to improve its academic quality, student support and its national and international reputation, Dr. Clements is a welcomed addition to the executive leadership team,” said Provost and Chief Academic Officer Dr. Wenying Xu. Known for her acumen in data analysis, innovative instructional methods and superior preparation of students for their chosen professions, Dr. Clements has contributed much to the educational excellence Jacksonville University is known for during her 27-year tenure. Leadership positions at JU include Division Chair of Science and Mathematics (since 2004), Faculty Chair (1998-2000), Director of Environmental Science (1992-95), Director of Marine Science (2002-04), and Chair of Institutional Self-Study, SASCOC (2000-03). In addition, she has served since 2010 on the Board of Trustees of the Museum of Science and History, Jacksonville. Dr. Clements received her B.A. in Biology from the University of Virginia, and her M.S. and PhD in Marine Science from the University of South Carolina. Her research interests focus on the physiology and ecology of echinoderms, specifically the process of regeneration in brittle-stars and sea-stars. In the classroom, Dr. Clements actively encourages undergraduate research, and motivates upper-division majors to apply their core knowledge to real data and situations so they can function as professionals in the work world. She enhances student performance and learning by using various teaching methods, including lectures, student presentations, laboratory experiments, library research and primary literature reading with discussion.